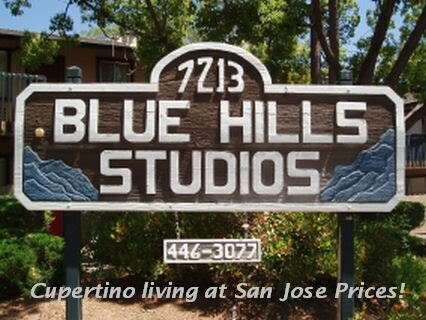 Thank you for visiting the Blue Hills Studios in San Jose, CA. 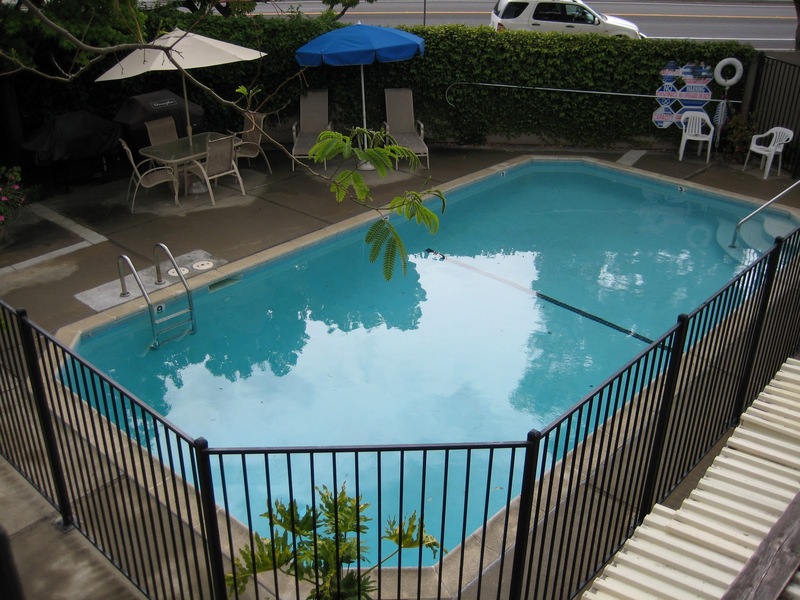 If you're looking for a rental, you've come to the right place! 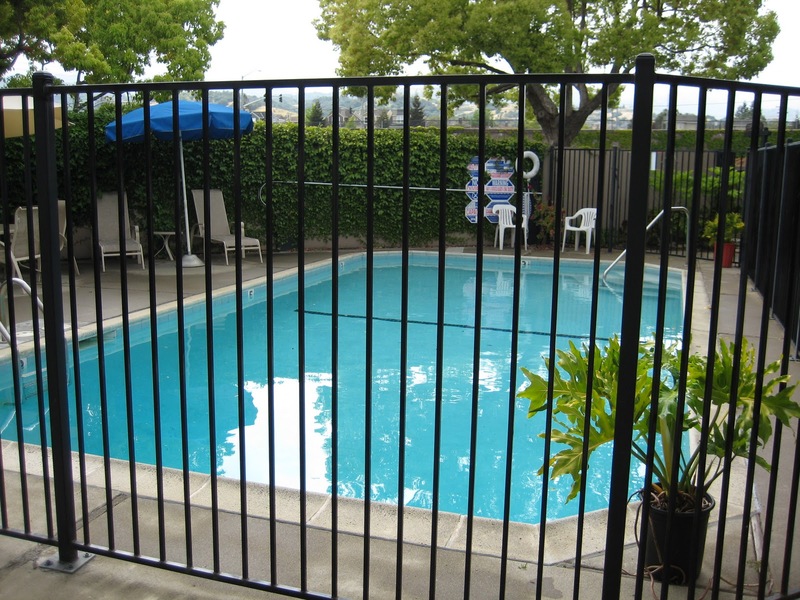 Located very close to Cupertino, CA, and in the desirable Cupertino School District, our apartments are a great place to call home. Conveniently located right off the 85 freeway at De Anza Blvd, just down the street from the 280 freeway, very close to the Calabazas park, and the Apple Computer Company Campus, it would be hard to find a better location to live. I've been told we're located very close to a "Google shuttle stop". In our neighborhood, single family homes are currently selling for an average of around $1 million each (as of May 2011). The next time you're driving past us on the freeway on your way home from work, remember if you lived here, you'd be home already instead of still driving!! 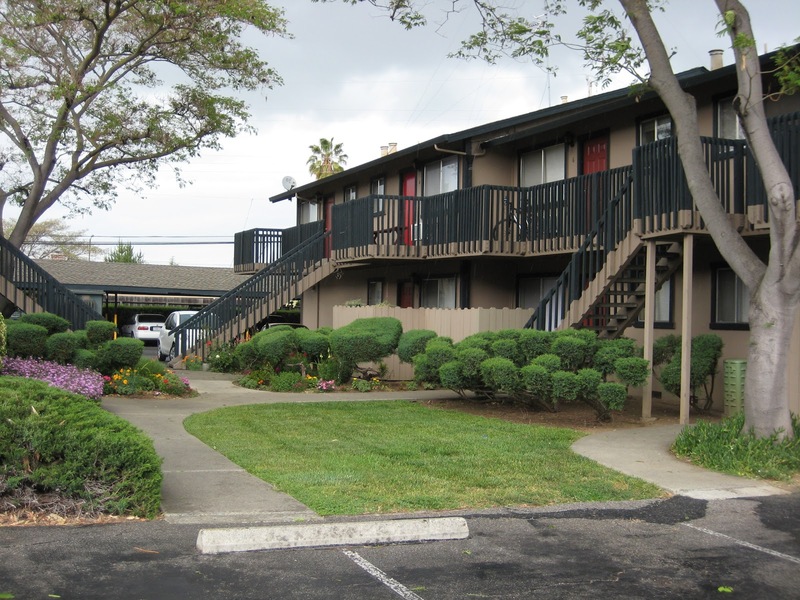 If you'd like to walk through a unit, just email me at PropMgrJay (at) gmail (dot) com or call me 408 446 3077 to set up an appointment. 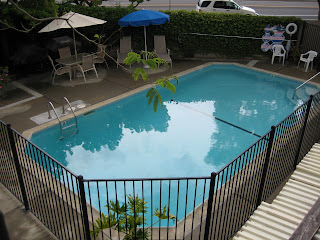 In the mean time, below is a photo tour of our property and one of the apartments that recently rented. This is a view of the front door, front window, living room, and kitchen. The living room is a good size, measuring approx 11 feet by 20 feet. View of the Kitchen; It's equipped with a refrigerator and a 3/4 stove/oven, a stainless steel sink, and lots of cabinet space. View of the closet. It's a huge walk in closet, measuring roughly 9 feet by 6 feet. Have you ever seen a closet that big in a studio apartment? View of the bathroom. It's a full bath; Tub/shower, toilet, sink, vanity, medicine cabinet. View from the second floor balcony (Bldg A) looking South West. 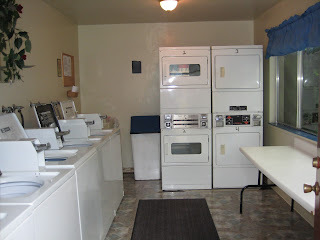 View of our laundry room. 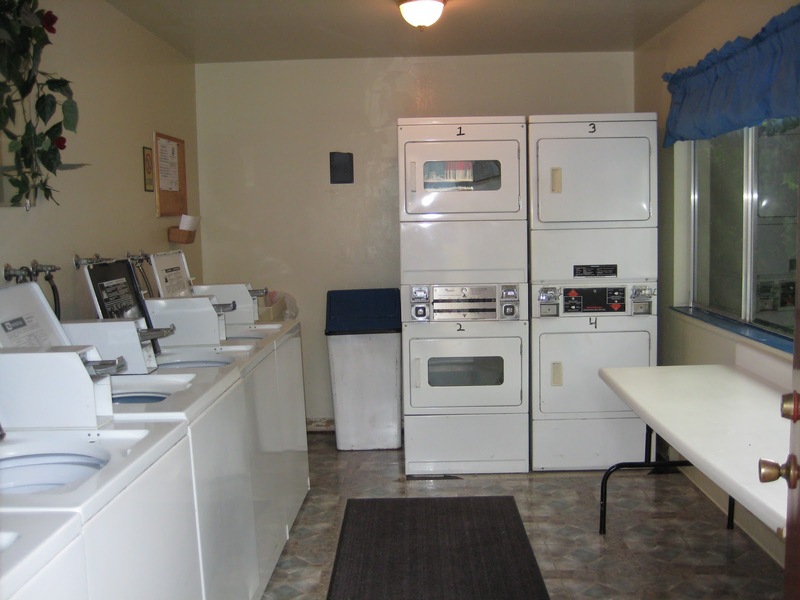 It features 4 washers and 4 dryers (coin operated), sorting/folding table, chairs, and a sink. 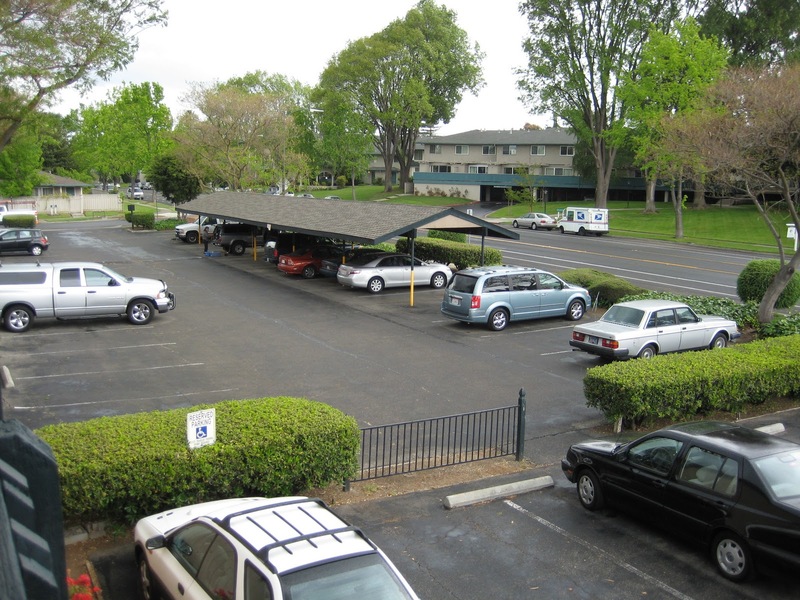 Plenty of free parking is available for residents (guests must park on the street). Covered parking is also available, on a "first come first served" basis (parking is not assigned). Garages are available for an additional fee. They are large enough for 1 small car and are great as extra storage space. View of Building D from parking lot near Rainbow Dr. The Blue Hills Studios pays for the water and dumpster disposal. Residents are responsible for their own PG&E, and any other services they may need (cable, internet, phone, etc). The apartments don't use natural gas (electric only). I can offer you a 12 month lease. I'm sorry in most cases I can not offer "month to month" rental agreements. I'm sorry, I cannot allow any pets. Our apartments all have the same floor plan (except some are reverse). 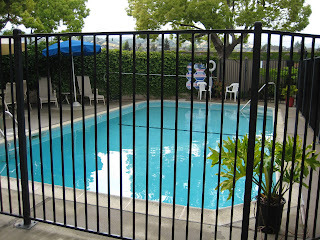 Some are upstairs units with access to a common balcony area, and some are down stairs with a private patio area. They all have a full kitchen with stove and refrigerator, a full bathroom with a full tub and shower, and a wonderful walk in closet. They are approx 400 square feet.